Konbanwa! or Ohayōgozaimasu! Depending on when you're reading this! As some of you may or may not know, ever since returning to Japan last year, I have fallen back in love with just about every aspect of Japan.. Cooking, shopping at Daiso (a lot! ), heading to Japanese grocers when I visit Brisbane and stocking up, even purchasing a Japanese rice cooker purely because they cook Japanese style rice better! So when my friend and fellow blogger Kate from The Minted Blog tagged me in a post on instagram about a Japanese candy subscription box, I knew I had to get it! 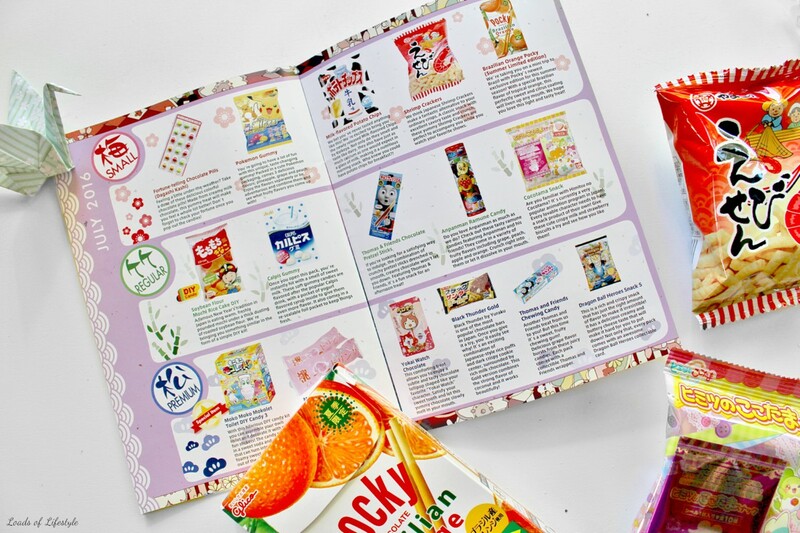 Tokyo Treat is one of the many Japanese Candy subscription boxes on the market. It has 3 different levels of boxes with price ranges to suit all. However each box can be made a little cheaper each month, if you choose to prepay on 3, 6 or 12 month terms. The company is based in Tokyo, so you know you are always getting the freshest and most authentic treats. 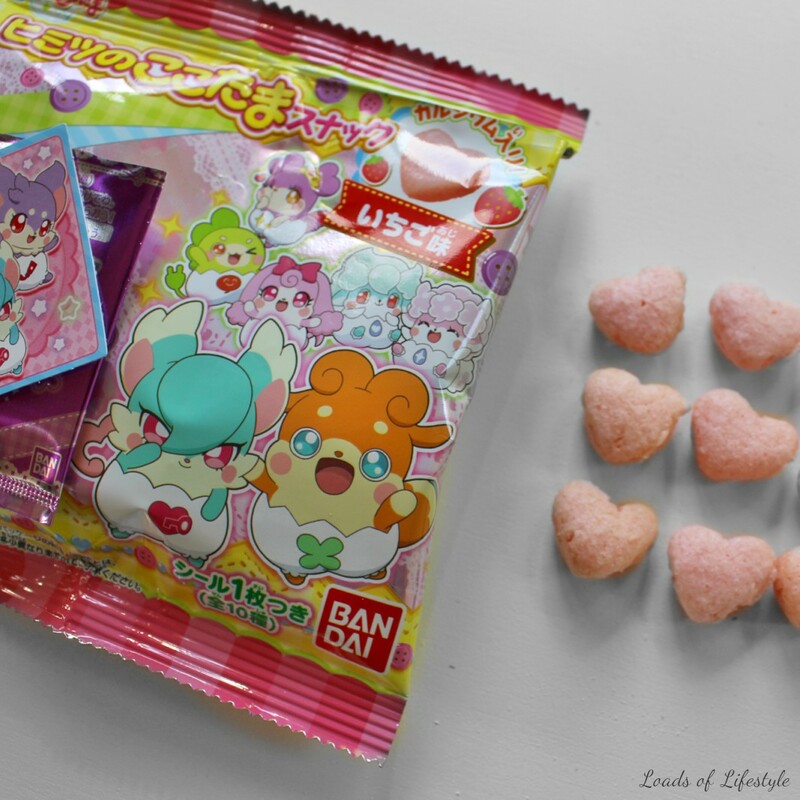 The July box theme was "Anime Characters" so most of the treats had something to do with anime or had cute little anime characters on the packaging. 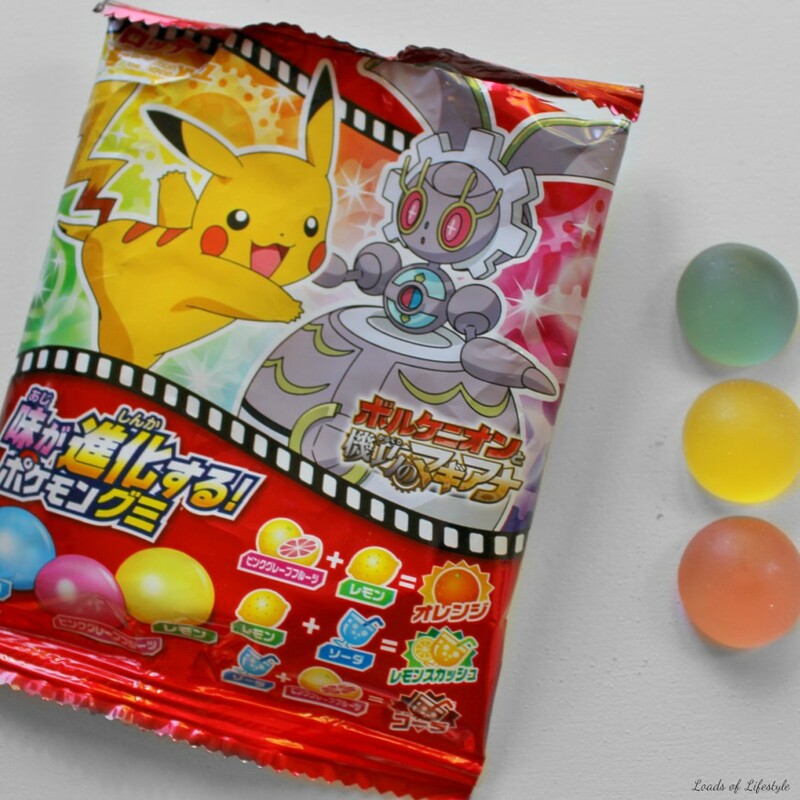 Pokemon Gummies - 3 different flavoured gummies, which can be mixed together to create new flavours. Flavours Pink - Grapefruit, Yellow - Lemon, Blue - Lemonade. Milk-Flavoured Potato Chips - the strangest thing in this box! They apparently contain the same amount of calcium as a glass of milk, not 100% about this but they do have a milky/creamy taste to them, I actually quite enjoyed the weird flavour combination. The smell of them was a little off putting. It smelt like slightly off milk powder. Shrimp Crackers - these were delicious! 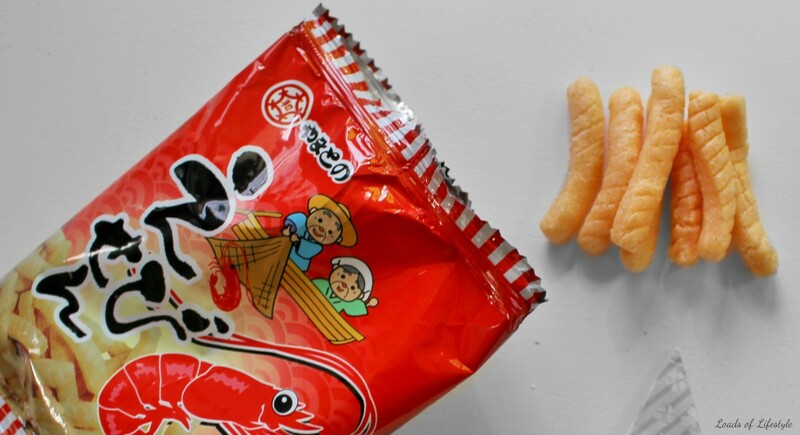 They had a strong shrimpy/prawn taste to them, similar to the prawn crackers from a Chinese restaurant, however a lot more crunchy and salty. These would go down a treat with a beer or two. 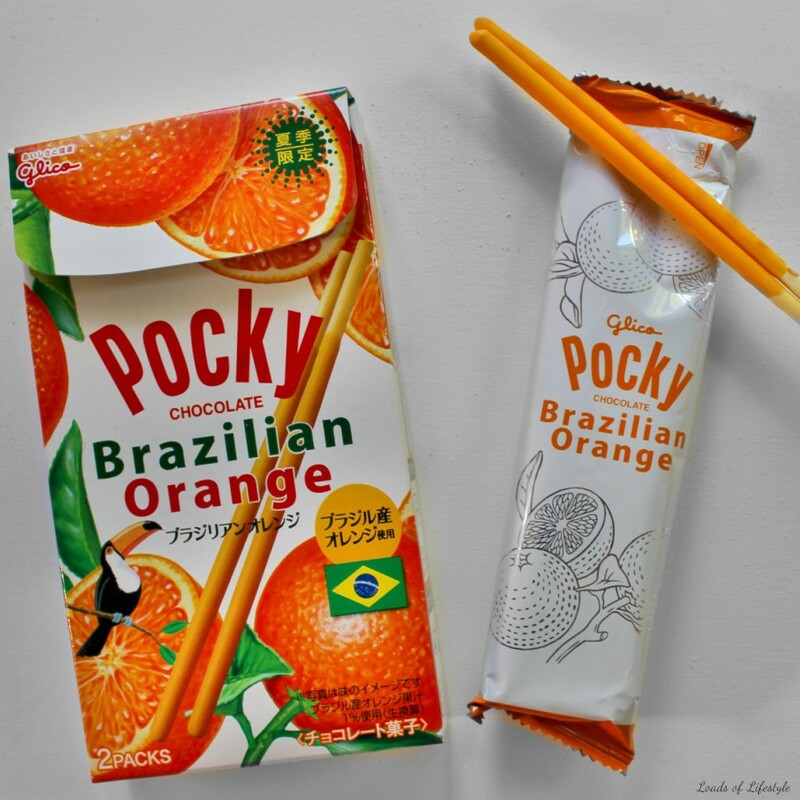 Pocky - Brazilian Orange (Limited Edition summer flavour) - I thought it was going to taste like Jaffas or something similar, however I forgot Pocky make their flavoured sticks on a white chocolate base. They smelt a little like passionfruit and tasted like them too. It also had a citrusy hit! 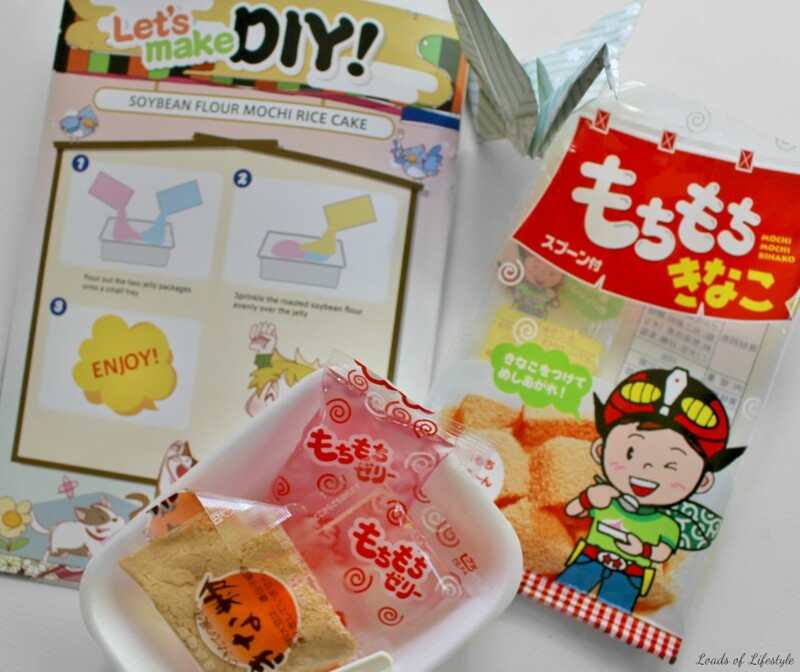 Soybean Flour DIY Mochi Rice Cake - I haven't actually made this up yet. But Soybean flour is usually roasted, and has a wonderful nutty flavour. My host family in Japan showed me how they dip their Mochi (pounded rice cakes) in Soybean flour and it is delicious. 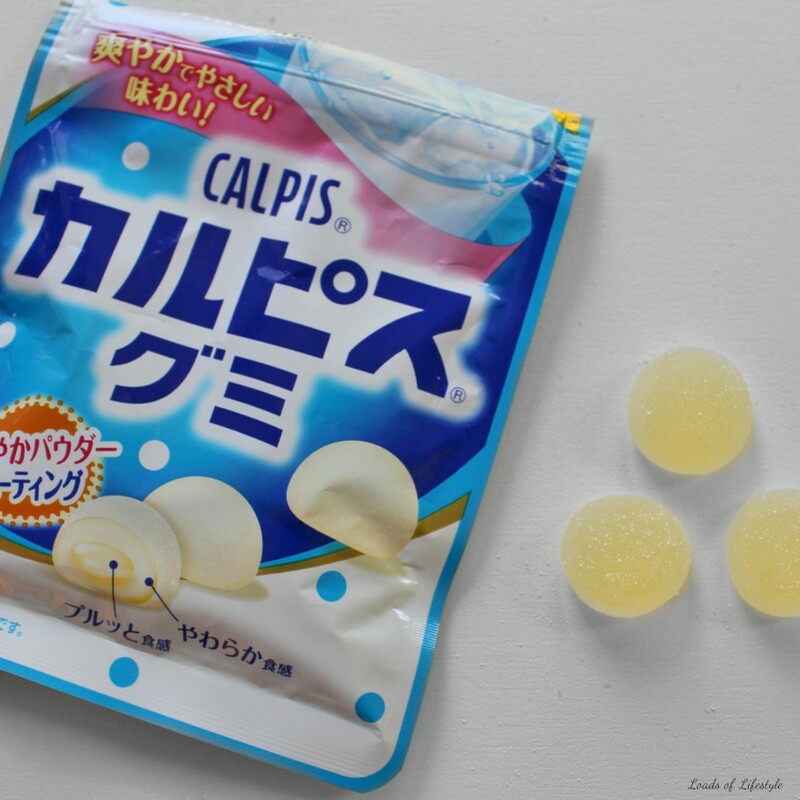 Calpis Gummies - Calpis is a un-carbonated soft drink, that has a milky and slightly acidic flavour. I haven’t actually tried it, but I will be when I head back at the end of the year. These gummies are super soft and have a sugar coating. They have a yoghurty flavoured soft centre, however it all tasted the same to me. They were edible, but not something I would by again. Hopefully the drink tastes better!! The box also contained; Thomas & Friends Chocolate Pretzel Sticks, Anpanman Ramune Candies and Fortune-Telling Chocolate Pills. At around $35 AUD for the box, and this month contained 10 items, it worked out to be roughly $3.50 per item. Which isn't too bad considering the box has free shipping worldwide. At Daiso you can expect to pay around $3.50 for a box of pocky for reference. 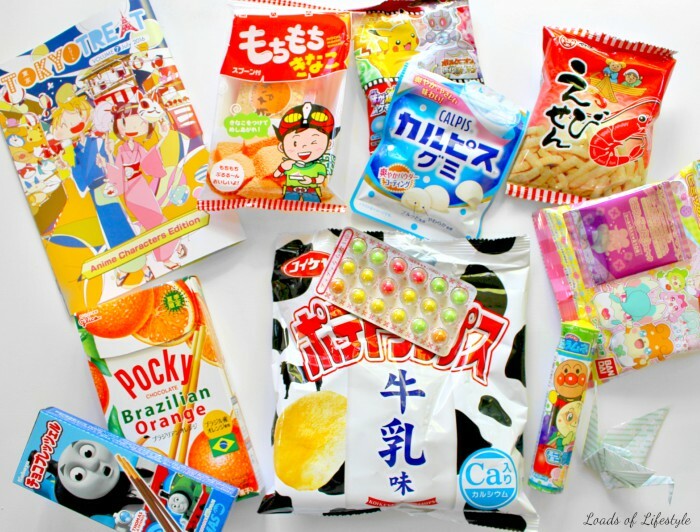 I definitely think this is a super fun way to try out treats and snacks from other countries and I currently have the August box on its way! 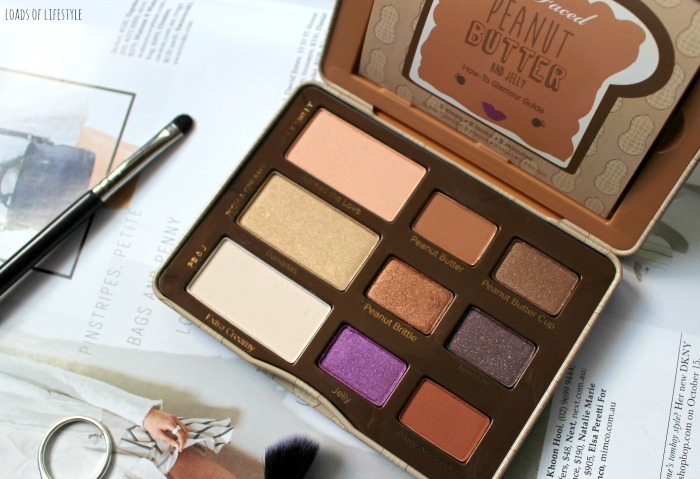 Have you tried a candy subscription box before? I think I am going to try another company for September to see how they vary! This is so cool! 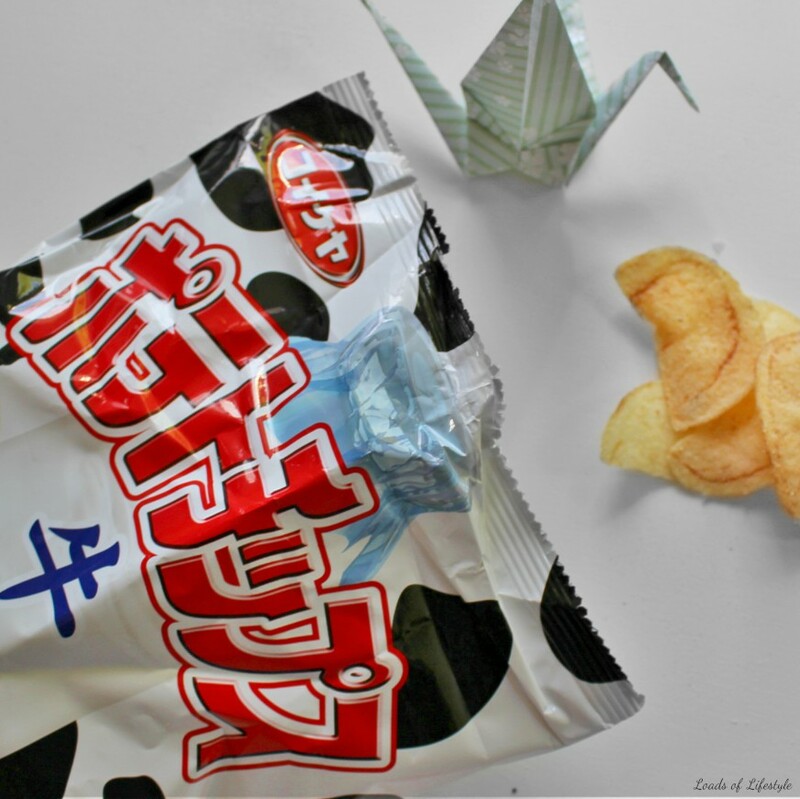 What a great idea for someone like yourself who loves trying out new Japanese goodies. 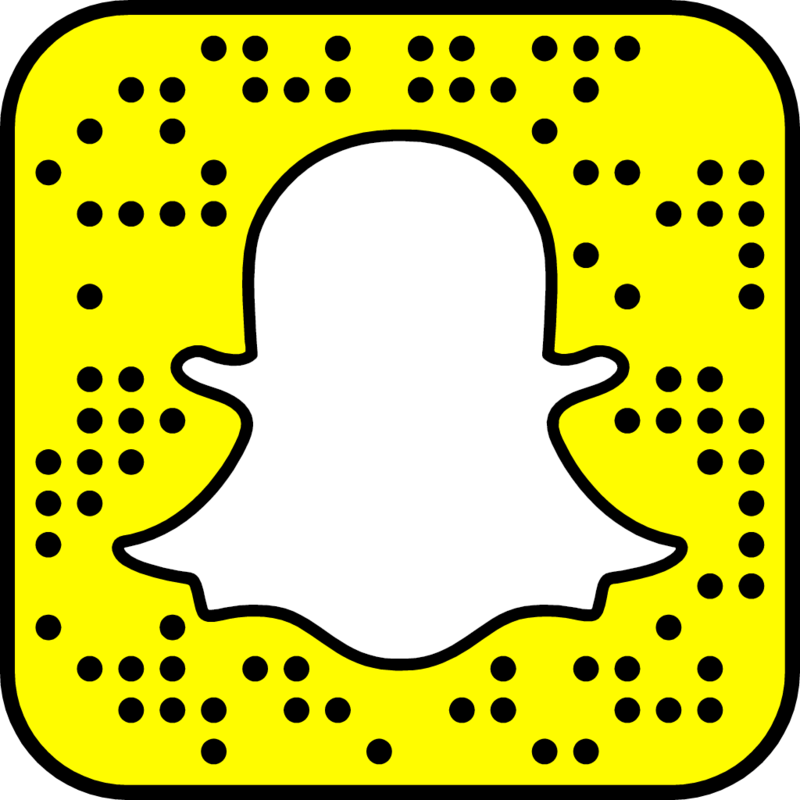 I saw you trying most of these on Snapchat and thought it was so funny!!! What a neat idea. I didn't know there were subscription boxes for Japanese treats! So glad you tried this out! I think I might sub for a month just for fun :) It's pretty good value for money I think! That's my favourite part when I visit Japan, is grabbing their treats from the convenient stores. Everything looks so cool and unique and their packaging is top notch :D Lovely share. This is so cool! I love the packaging it is soo cute!! <3 I haven't ever gotten a food subscription box, sounds like an amazing idea though! <3 Lovely post!